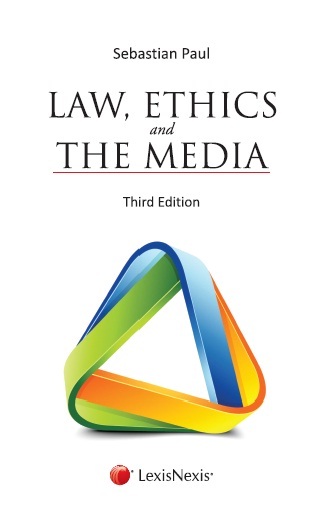 Law, Ethics and the Media is an exposition on laws and ethical issues relating to the media with a critical analysis of the functioning of the Press Council of India as a unifying plank. The book examines the role of the Council along with judicial pronouncements that enlarged and at times restricted the freedom of the press. The author with his varied experience as a lawyer, legislator and journalist is treading the whole gamut with a historical perspective and futuristic vision. From the heroism attributed to James Augustus Hicky to the infamy attached with the Niira Radia tapes, the history of Indian journalism presents a kaleidoscopic diversity. Written in a lively and accessible style, this work captures the interplay between the press, on one hand, and the legislature, judiciary, executive, society and the individual, on the other. In the age of convergence where social media and legacy media are competing for dominance over each other, this work will serve a useful purpose by upholding certain immutable principles which are common.